Police have released a picture of a vulnerable man who has been missing from his home in Lenzie since Sunday morning. Stephen Watt (66) was last seen around 11am on December 28 when he left his home in Craigenbay Crescent in the town to go to the local shops. Stephen is white, around 5 ft 10 inches in height, with a medium build, short grey hair, blue eyes and was clean shaven. He was wearing a dark brown fleece jacket and tan coloured trousers. He often walks in the area of Bothlyn Bank Cottage Waterfall. A police spokesman said Stephen has never gone missing before. He has recently been dealing with some personal issues and his family is extremely worried about him. Inspector Iain Greene said: “Extensive enquiries are underway but so far all efforts to locate him have proved unsuccessful. “Stephen is fit and able but he is not adequately dressed for this cold weather and we are increasingly concerned for his welfare. 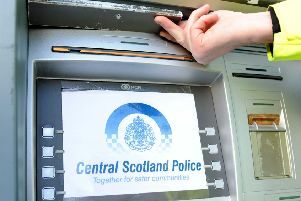 Anyone with information is asked to contact Kirkintilloch Police Officers on 101.